Saving money in the long run? Sign me up. Listen up, peeps! Amazon has a Subscribe & Save feature where you can order products on a regular basis (options range from every month to every six months) — saving you up to 15% on your most-needed items! 1. A pack of trash bags because when you really think about how much garbage you and your family can create a week, it's shudder-inducing. This pack includes 80 trash bags able to hold 13 gallons. The bags are super strong, and resist tears and leaks. 2. A container of protein powder for anyone who loves making shakes pre- or post-workout. Per serving, you'll receive 22 grams of protein, 5 grams of fiber, and 10 grams of essential amino acids. 3. A serum that'll soothe ingrown hairs, razor bumps, and razor burn so you can continuously get silky smooth skin after a close shave. This product is safe to use on your bikini line or on your armpits. For best results, use on the affected area in the morning and at night. 4. A pack of toilet paper so you're never caught at the most inopportune moment with no backup role to finish the job. This 2-ply toilet paper includes 24 mega rolls total (4 packs), equalling 96 regular rolls. It's septic-safe and ultra plush. 5. A green tea and lime dish soap you'll want to use on your dishes because of its sulfate-free formula and skin-softening abilities. This soap is plant-derived, meaning there are no harsh chemicals. It's cruelty-free and safe for your entire family to use. 6. A container of lightweight cat litter so your beloved kitten children always have a place to go. This one can fight odors and form clumps for an easy clean. 7. 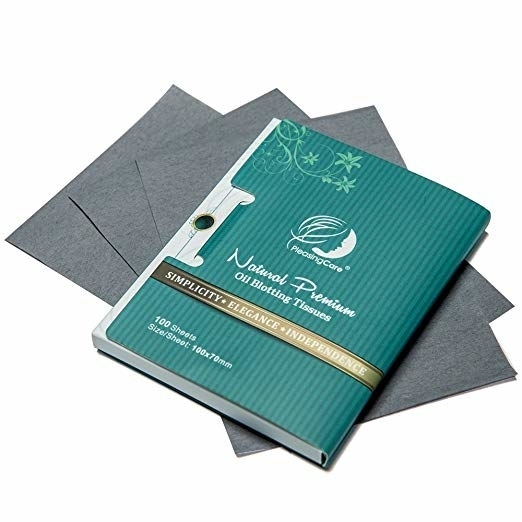 A pack of oil blotting facial tissues to control shine so you feel fresh-faced all day long. These blotting sheets are gentle on your skin and the perfect size for travel. 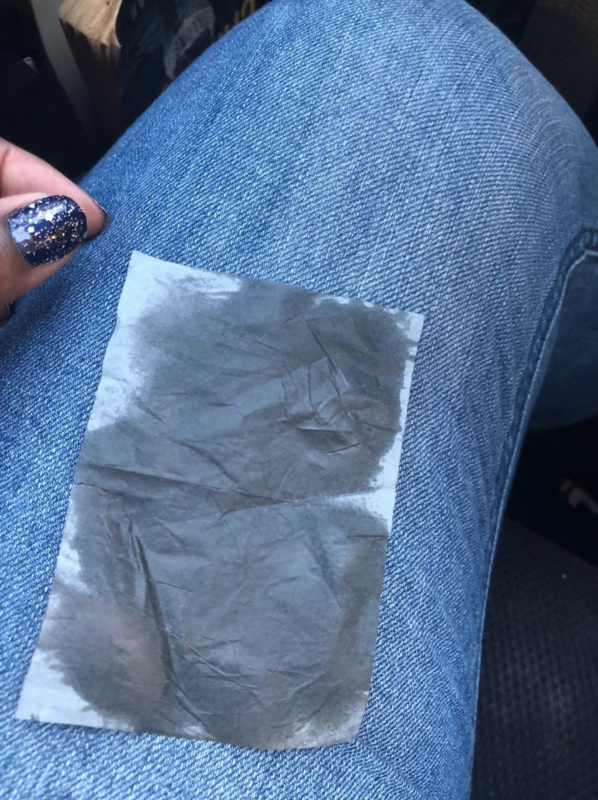 Just pop a packet into your purse. 8. A box of tampons because let's face it, some of us may be buying these for a majority of our lives. With 360-degree protection, you'll feel safe to move around freely. 9. A bottle of laundry detergent designed to be gentle on skin, tough on stains, and 100% free of dyes and perfumes. Upon purchase, you'll receive two bottles, enough for 62 loads of laundry. 10. A box of dark chocolate, nuts, and sea salt KIND bars that'll satisfy your cravings mid-day and keep you from getting hangry. 11. A pack of diapers so you're never caught without the most important thing any new parent could ever own...seriously. Upon purchase, you'll receive 4 packs of 40 diapers (hypoallergenic and fragrance-free). They'll provide leakage protection up to 12 hours, fit snugly around your little one, and be gentle on skin for flexible movement. They also have a wetness indicator so you know exactly when to change. 12. A package of dog breath bones to remedy that stinky dog breath everyone's pooch definitely has. Promising review: "LOVE that these bones are vegan! The junk put in dog food and dog treats is actually disgusting. These have all-natural ingredients and are meat-free! Our larger dogs finished them off quickly, but our smaller dogs took longer to eat them. All six of our dogs love them!!" —Scott G.
13. A food storage wrap that'll eliminate your need for plastic! These adhere to whatever you're covering by the heat and pressure of your hands. Upon purchase, you'll receive three sheets: a 7", a 10", and a 13". They're antibacterial, anti-fungal, and will keep your food fresher for longer. What's the trick? They're made of hemp and cotton infused with beeswax, tree resin, and organic jojoba oil. 14. A pack of cleaning wipes because spilling things is an everyday occurrence, so you might as well be prepared. These wipes will remove dirt and grime from any surface in your home. And the bonus? They're biodegradable! 15. 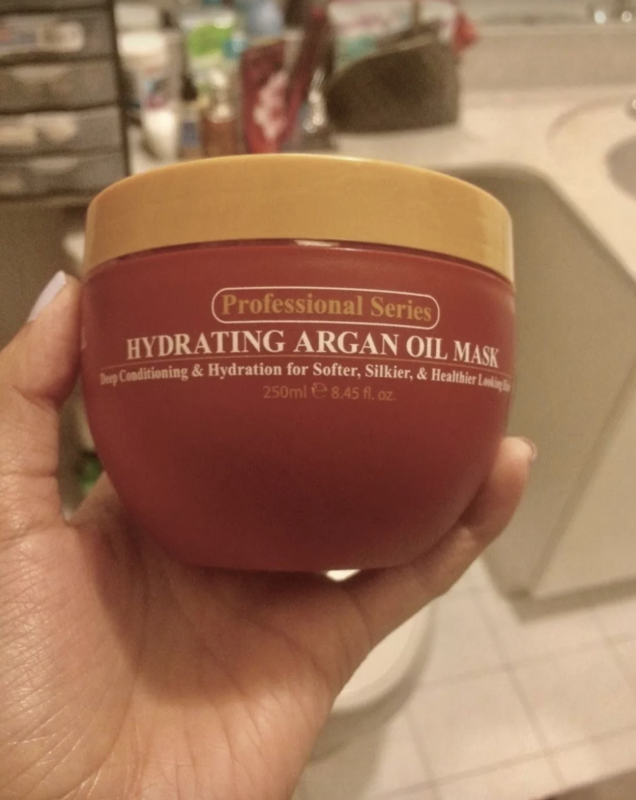 A hydrating argan oil hair mask designed to strengthen and repair dry or damaged hair, leaving it feeling silky smooth. I own this hair mask and really love it. After using it, I notice a definite difference in how my hair feels. The texture is much smoother and softer, and I have less frizz and fly-aways. I typically use it after I shower. I apply it to my damp hair, leave it on for 5–10 minutes, and then wash it out. 16. A ready-to-drink meal for those days when you just don't have the time or energy to whip up breakfast. This drink is nutritionally a full meal, packing 400 calories, 20 grams of protein, 150 milligrams of caffeine. It's also dairy- and gluten-free. 17. A bottle of biotin that may help support healthy hair, skin, and nails. 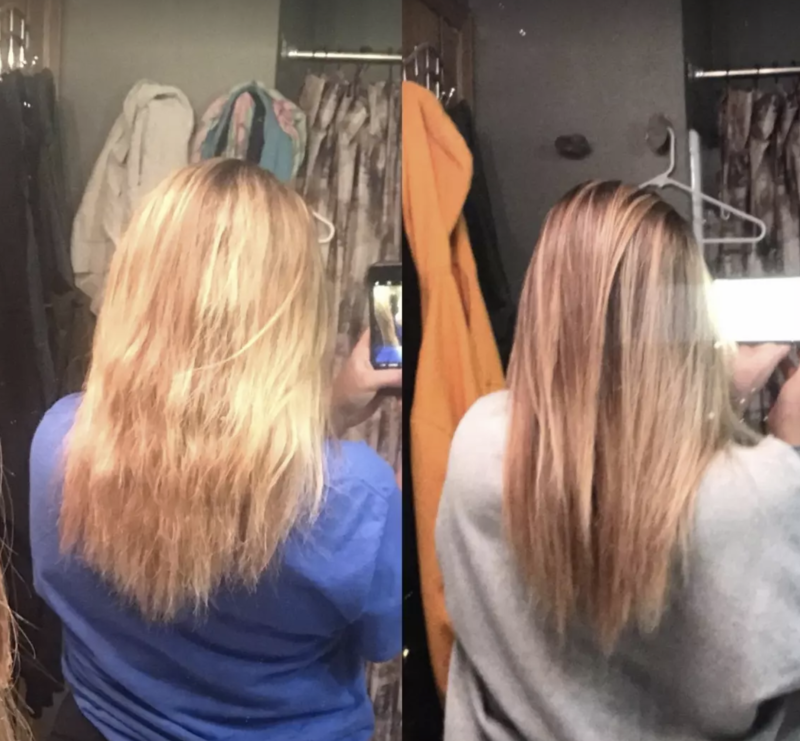 Promising review: "I’ve been taking Biotin for a year now and have noticed a SIGNIFICANT change in how quickly my hair grows, its luster, and the length and thickness of my nails. My hairdresser has even noticed! I’ve also recently started bleaching my hair platinum again, and unlike last time when I was not taking Biotin, my super long hair still looks and feels healthy and isn’t breaking! My nails have gotten thick and healthy! They grow so quickly I have to have them done every other week. They look beautiful and I’ll never go another day without Biotin!" —JEN A. 18. A family-sized pack of paper towels to handle any mess life may throw at you. 16 family-sized rolls equal 40 regular rolls. 19. A pack of razor blade refills because your blades should actually be switched every 5–10 shaves (yes, really). These razor heads have five (!!!) blades to catch every hair. They're designed to contour to those hard-to-reach places (knees, ankles). I own these razors and these heads and really love how smooth the shave feels. 20. A pack of deodorant so when you smell something smelly, you'll be confident that it's definitely not you. This deodorant is made of 100% natural fragrances and is free of artificial preservatives and colors, aluminum, animal ingredients, and animal testing. Win! I own it and really love it. I use it everyday wear or gym workouts. I always feel fresh even after I sweat a decent amount.